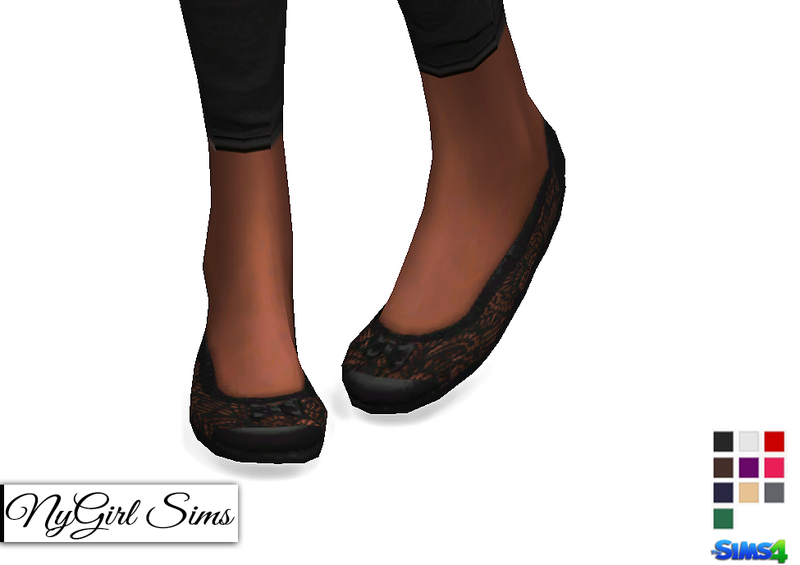 A simple edited ballet shoe with crochet style lacing. Made from a mixture of TS4 textures. Comes in 10 colors.